When a legal case is under way, one of the most important elements of taking the case to a successful resolution is the court reporting services involved. The intricacies of the law are incredibly complex, which is why every aspect of testimony in a case most be recorded with the utmost attention to accuracy. That’s why it’s so important for a reputable court reporting company, like www. Bartelreporting.com, to be retained to ensure that the complexities of testimony during a busy deposition session are accurately recorded. Bartel Reporting, LLC, has operated as a court reporting agency in Arizona since 1972, and is now one of the oldest court reporting companies in the area. The company has built a solid reputation on the consistently high quality of its court reporting services, which include the accurate reporting of high volume cases, with a special focus on medical and technical litigation. 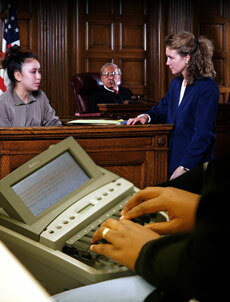 Bartel Reporting is proud to offer the services of court reporters who have come through an extensive screening service. Our reporters are highly skilled listeners who specialize in capturing and accurately taking down ever single word in a testimony. We stand by the high level of expertise of every court reporter we send out, and all of our reporters are Arizona Certified. Along with our high level of court reporters, we also offer an array of technical services to enhance the accuracy of the testimony recorded. We offer video conferencing capabilities, with very clear picture and sound quality. This service also includes resources for file sharing so that court exhibits can be easily seen and studied. 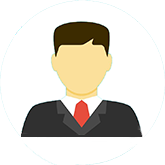 This service saves a great deal of time (and money) by allow participants in a case to meet together quickly and conveniently. We also offer videography services which allow for taped depositions. Our video-synched deposition services allow for the creation of multi-media presentations, which today are a huge part of presenting information that can sway a judge and jury. www.Bartelreporting.com offers a full array of quality court reporting services that are crucial to success in the courtroom. When it’s time to take on that next case, call the experts at Bartel Reporting. Just click here to find out more.